Image credit & copyright: NASA/ESA Hubble Space Telescope. 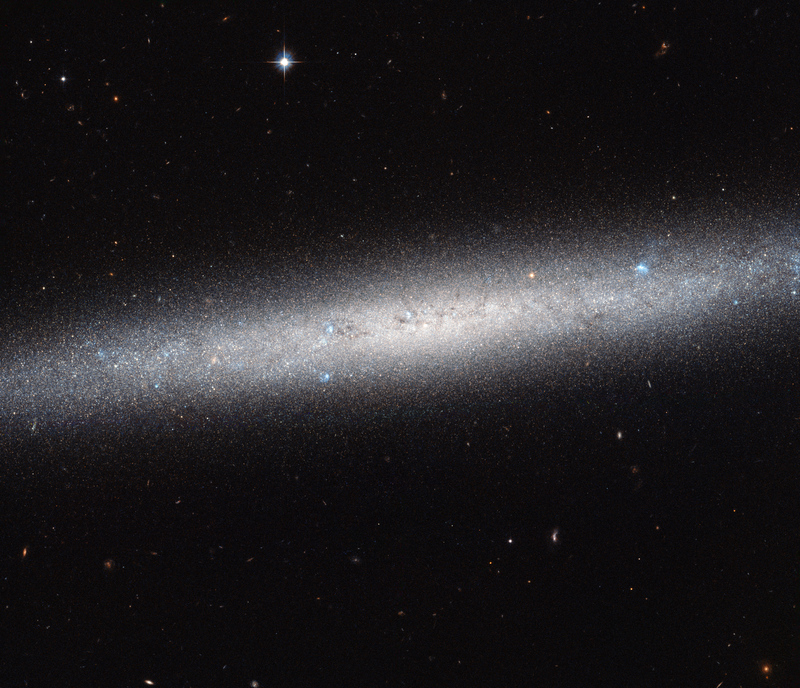 This beautiful edge-on spiral galaxy may only be roughly half the size of our Milky Way but the resolution that Hubble delivers is just amazing. What’s great about this image is that even at 33 million light years away you can still pick out 30,000 individual stars in this image should you have that kind of time and or desire. That pales in comparison to the many tens of billions within the galaxy but it’s many times for than the 4,500-ish you can see in the night sky in a dark location. NGC 5023 is a popular target for Hubble as it’s part of 14 galaxies in the GHOSTS survey which studies galactic halos and star clusters and it’s also one of six edge-on spiral galaxies observed in the Hubble’s Advanced Camera for Surveys (ACS). There are a couple things that I find interesting as I see this image. 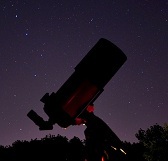 For one, there seems to be a lack of star forming regions to be seen. There are pockets of what appear to be nebulae and possible star formation but nothing widespread. Also, the disk of stellar material along the plane of the galaxy is pretty sparse as well. Instead of the thick bands that we see in many galaxies to include our Milky Way, there is a faint band stretching through the nucleus. Image | This entry was posted in Astronomy (Learning), Astrophotography (DSOs), Galaxies, Images and tagged Astronomy, Astrophotography, Canes Venatici, DanSpace77, ESA, Galaxy, Hubble, Hubble Space Telescope, NASA, NGC 5023, NGC5023, Spiral Galaxy. Bookmark the permalink.